Download a PDF of Bella’s pedigree here. Bella lives to protect and defend her animal and people family. She is as sweet as sugar to her family, always devoted to her sheep, independent, content, and a fierce guardian. Favorite foods: scrambled eggs and bacon, mozzarella cheese, and beef bone scraps from the butcher. 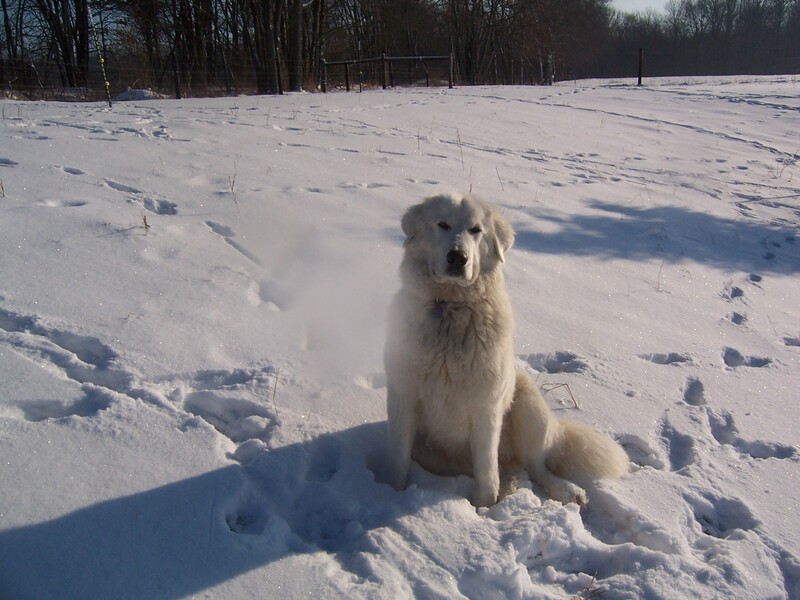 Bella has a beautiful, thick coat that keeps her warm and cozy through our Northern Indiana winters. In the spring she sheds her fur to a nice light comfortable coat that keeps her cool and perfectly adapted to her environment. 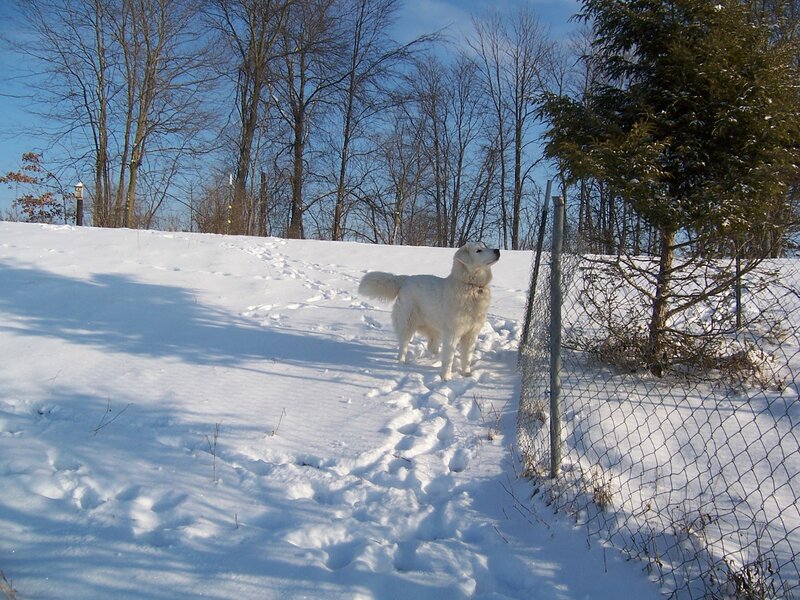 Bella is registered with the Maremma Sheepdog Club of America. Her five generation pedigree is available at the top of the page. 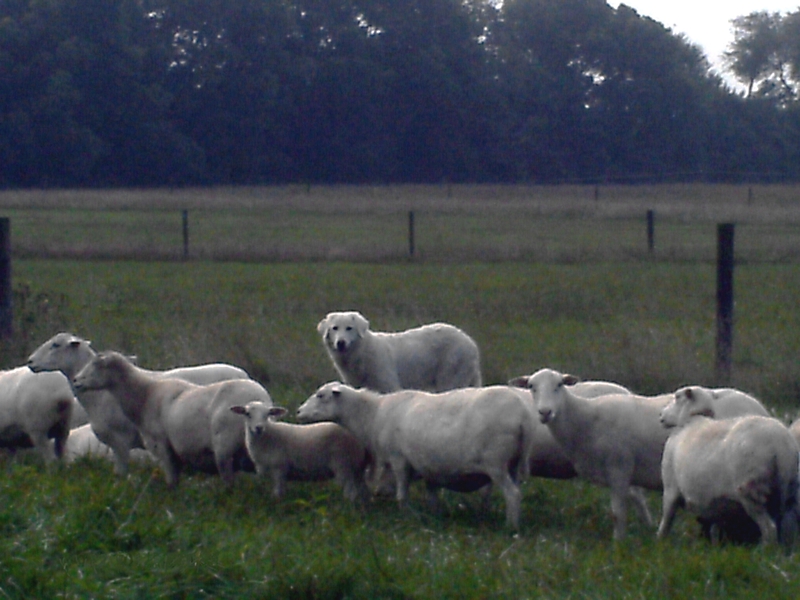 Bella grew up with our herd and bonded readily with them as a pup. A few months ago Bella watched as my husband tried to save a ewe lamb on an extremely hot Indiana summer day by treating the lamb with fluids out in the pasture. 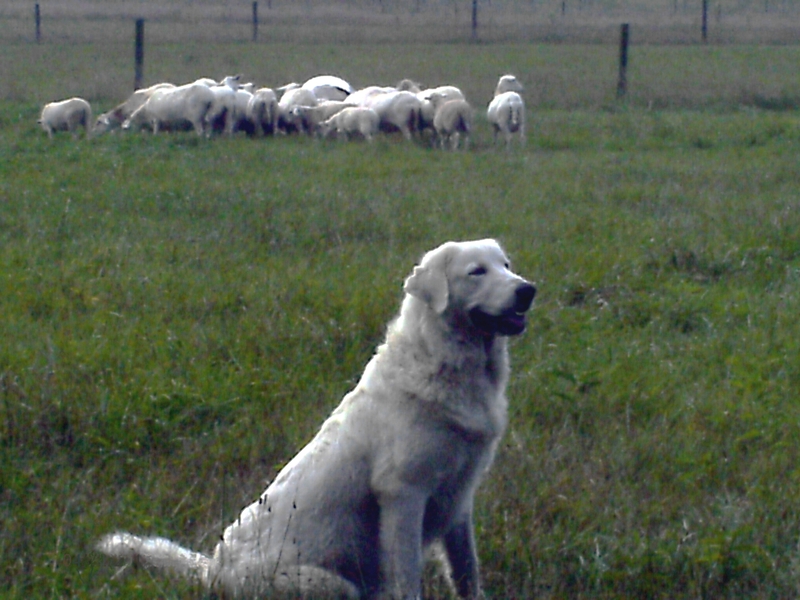 Bella was beside herself with concern for the life of the ewe. 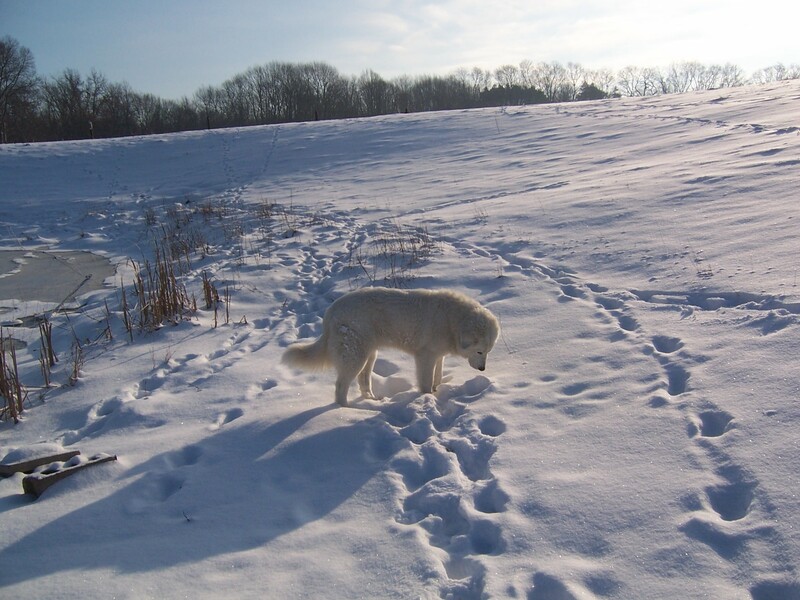 When the sheep didn’t make it, Bella refused to leave her side and waited in the pasture next to her until we returned to take the ewe away for burial. Bella has been with us since she was eight weeks old when I drove from our home in Northern Indiana to Peqout Lakes, Minnesota to pick out the most endearing puppy in the world. She has always been full of life and energy, wanting to please, yet independent in nature and extremely intelligent. Nothing gets past Bella. She is a true guardian in every way and takes her job seriously. Bella is always aware of anything that enters or exits the pasture. Here she notices a bird that dares to land in a nearby tree. If a hawk, falcon, or blue heron flies over, Bella will accompany the bird with her barking, running after it until the bird is safely out of the area. She sometimes will actually leap into the air in an effort to catch it. She has notified us when there was a woodchuck in her doghouse, large snapping turtle in the large round bales, snakes and various other small rodents. Two of our cats would benefit by taking some mouse hunting lessons from Bella. There have been no sightings of foxes or coyotes since Bella came.